On Sale! 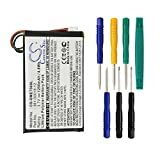 Up to 7% off on Batteries at The Ide, Page 3. Top brands include Cameron Sino, NewPower99, Garmin, & Synergy Digital. Hurry! Limited time offers. Offers valid only while supplies last. 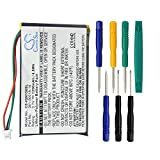 Battery Replacement Kit for Garmin DriveSmart 60 with Installation Video, Tools, and Extended Life Battery. Battery Replacement Kit for Garmin DriveSmart 50LMT with Installation Video, Tools, and Extended Life Battery. 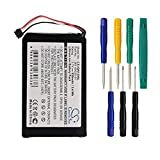 Battery Replacement Kit for Garmin Drive 50LMT with Installation Video, Tools, and Extended Life Battery.